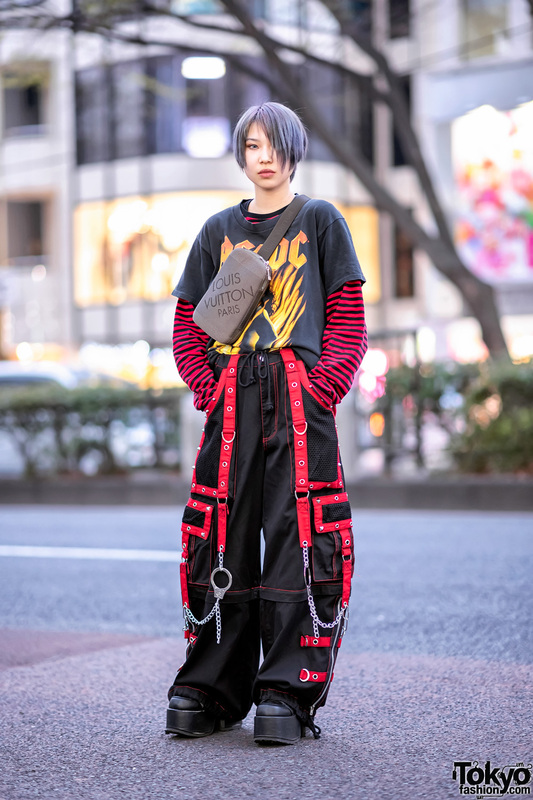 While taking a stroll along the street in Harajuku, we bumped into Kaori, an 18-year-old part-timer whose monochrome fashion style easily caught our attention. 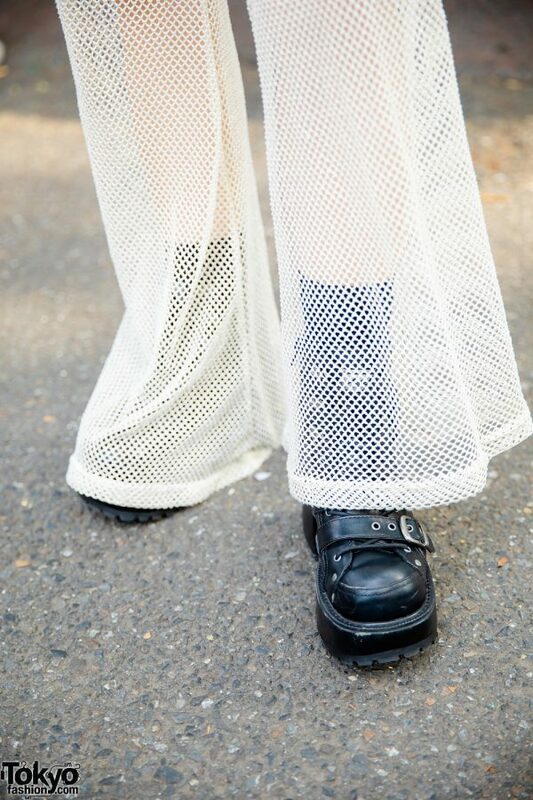 Kaori is wearing a black ribbed Chinese top with white contrast piping, worn over a white Forever21 t-shirt, and paired with a black skirt over white sheer fishnet pants. 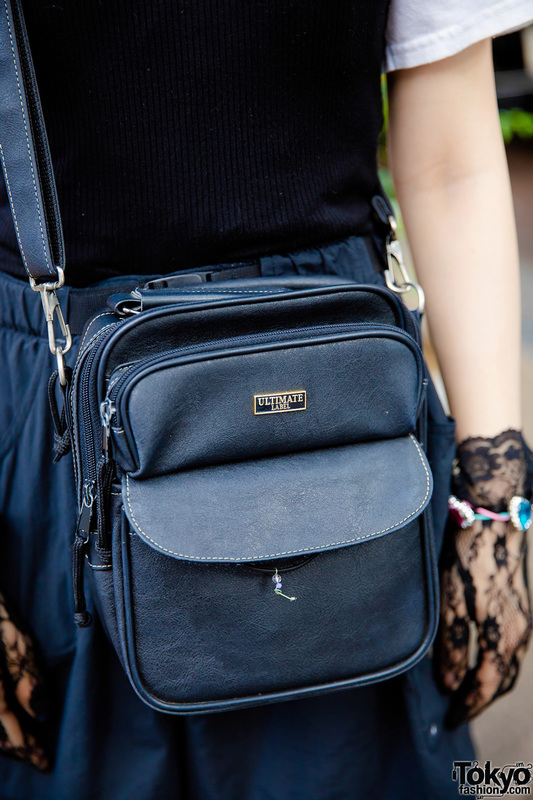 Black socks, black platform boots from Yosuke, and an Ultimate Label crossbody bag completed her outfit. 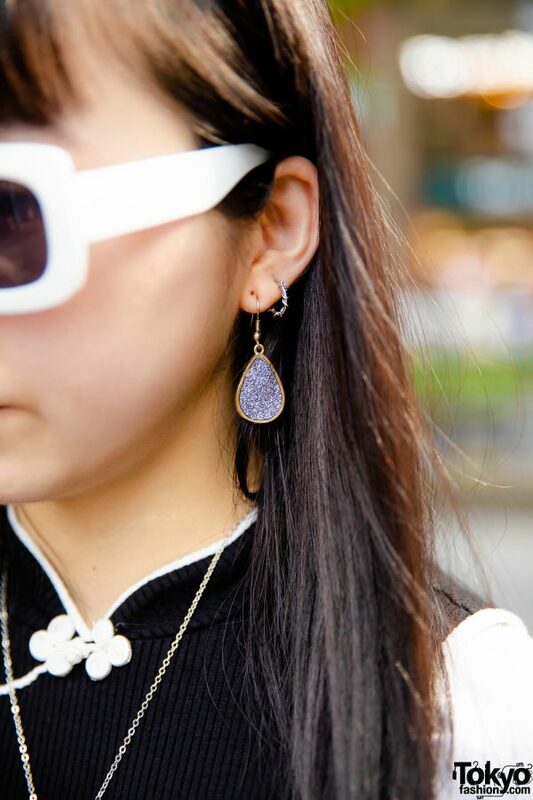 She embellished her look with black hair clips for her twin half tails, white-framed sunglasses, druzy teardrop earrings, a kanji print necklace, colorful heart hair ties worn as bracelets, a silver butterfly ring, and black lace gloves. Kaori is active on Twitter and Instagram, follow her!